Building on Jim Bilbo’s 30-plus years in the practice of law, the Bilbo Law Office assists people in a variety of legal matters. The main focus of the practice is in serious injury and wrongful death cases. Jim is a state and national Board Certified Civil Trial Specialist and a former president of the Tennessee Association for Justice. In addition to providing traditional legal services, the firm focuses on serious injury and death cases. Bilbo Law Office is located in the historic Bohemia Theatre building on the courthouse square in Cleveland, Tennessee. The next time you need legal assistance, contact Bilbo Law Office… we’re ready to help. This advertisement is a dramatization and is not intended to create unjustified expectations or to otherwise mislead the public. Individual case results depend on applicable facts and law. 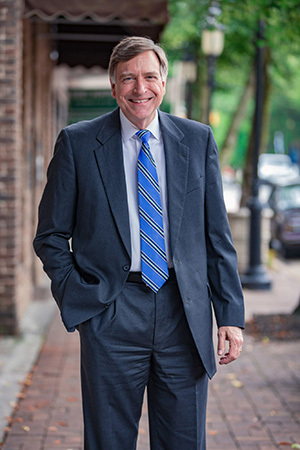 Jim Bilbo is nationally dual board certified in civil trial advocacy and in civil pretrial advocacy by the National Board of Trial Advocacy and is a Fellow of the American College of Board Certified Attorneys. 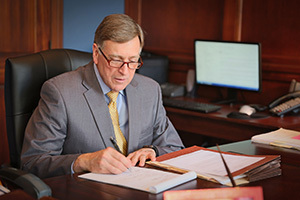 He is the former president of the Tennessee Trial Lawyers Association, Tennessee’s only statewide legal organization exclusively representing the interests of injured victims. He is also a Fellow of the Melvin M. Belli Society. During more than thirty years in the practice of law, Bilbo has achieved notoriety in many precedent setting cases. He was successful in obtaining what is believed to be the only verdict for a victim of medical malpractice that withstood appeal in the history of McMinn County, Tennessee. Groundbreaking reported cases in which he has participated, which are well known by Judges, attorneys and others involved in the legal system include McClenahan v. Cooley, Alcazar v. Hayes, Anderson v. City of Chattanooga, Blankenship v. Estate of Bain (amicus curiae) and York v. Sevier County Ambulance Authority (amicus curiae). 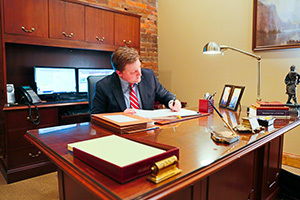 Jim Bilbo has been a practicing attorney in Cleveland, TN since 1985. 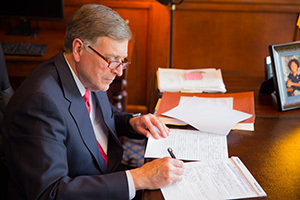 He is licensed to practice law in State and Federal Courts including the United States Supreme Court, the United States Court of Federal Claims and the Tennessee Supreme Court. 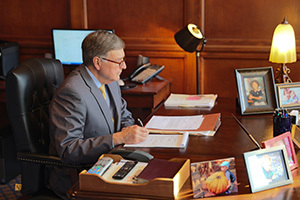 He is a member of the American Association for Justice, Bradley County Bar Association, Chattanooga Trial Lawyers Association, Tennessee Bar Association, Tennessee Trial Lawyers Association, Public Justice, National Organization of Social Security Claimants’ Representatives and the National Crime Victim Bar Association. He is also a trustee of Lawyers Involved for Tennessee. In 1975, Jim Bilbo received a B.A. from Lee University with a double major in History and Social Sciences and he received a juris doctorate degree in 1985 from the Nashville School of Law. His practice areas include automobile, truck and motorcycle crashes, defective drug and medical device cases, Social Security Disability appeals, products liability, nursing home negligence, personal injury and wrongful death claims. Bilbo donates time and services as a member of the Board of Directors of Friends of Samaritans Place, Inc. and as Vice President and as a member of the Board of Directors for Marc Lane Ministries, Inc. Since 1990, he has been an elected member of the Tennessee Democratic Party State Executive Committee, 9th Senatorial District. He donates time to the Tennessee Employer Support of the Guard and Reserve. He is a member of the Rotary Club of Cleveland. Bilbo is a former recipient of the Southeast Tennessee Legal Services Volunteer Lawyer of the Year award. As an avid runner, Bilbo is a member of the Ocoee Track and Trail club and is a member of the Cleveland Tennessee Half Marathon Warriors. Bilbo and wife Missy are parents of three daughters, Michelle, Julie, and Jessica. They are grandparents of Evie May Mazzolini, Jimmy Guy Mazzolini, Hank Delano Mazzolini, Zoey Eleanor Person, Jerome Ezekiel Person, and Duke Everett Pressley. They are members of the Westmore Church of God. Bilbo is a former adjunct faculty member at Lee University, Cleveland, TN, adjunct faculty member at Cleveland State Community College, Cleveland, TN, Chairman of the Amicus Curiae Committee, Tennessee Trial Lawyers Association, Chairman, Bradley County Tennessee Young Democrats, Chaplain, Cleveland Jaycees, Vice President, Board of Directors, Church of God Foundation, Inc., Council of Presidents, American Association for Justice, Executive Committee, Tennessee Trial Lawyers Association, Board of Governors, Tennessee Trial Lawyers Association, Vice-President, Tennessee Trial Lawyers Association, President, Tennessee Trial Lawyers Association (2003-2004), Board of Directors, Church of God Stewardship Ministries and Board of Advisors, Institute of Church and Law. 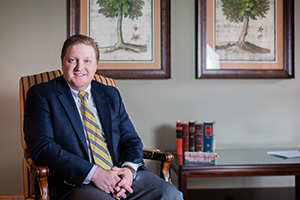 Daniel Clanton is an associate attorney at Bilbo Law Office, PC. Clanton practices predominately in the fields of estate planning, incapacity planning, will and trust litigation, estate administration, and probate. 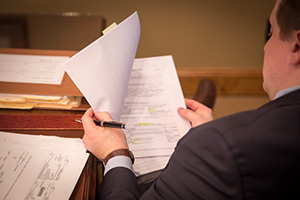 Additional practice areas include personal injury, wrongful death, products liability, corporate formation, contracts, deeds and other general civil litigation matters. Clanton is a native of Bradley County, Tennessee, and a 2003 graduate of Cleveland High School. Clanton graduated with honors from Lee University (B.A., Political Science) in 2007 and the Nashville School of Law (J.D.) in 2012. At law school, Clanton served three terms as an elected member of the Law Honor Council and was a member of the Legal Honor Society. Clanton is licensed to practice law in State and Federal Courts, including the Tennessee Supreme Court and United States Districts Courts for the Eastern, Middle, and Western Districts of Tennessee. 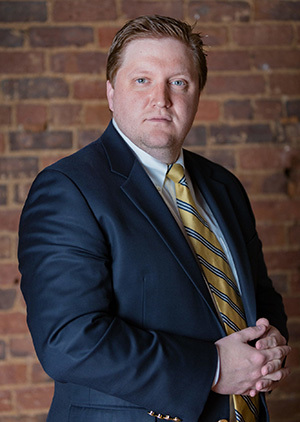 His professional affiliations include memberships in the American Bar Association, Tennessee Bar Association, Tennessee Trial Lawyers Association, and Bradley County Bar Association. Clanton is a third-generation member of Westmore Church of God, where he serves on the Church and Pastor’s Council and in other ministry leadership roles.